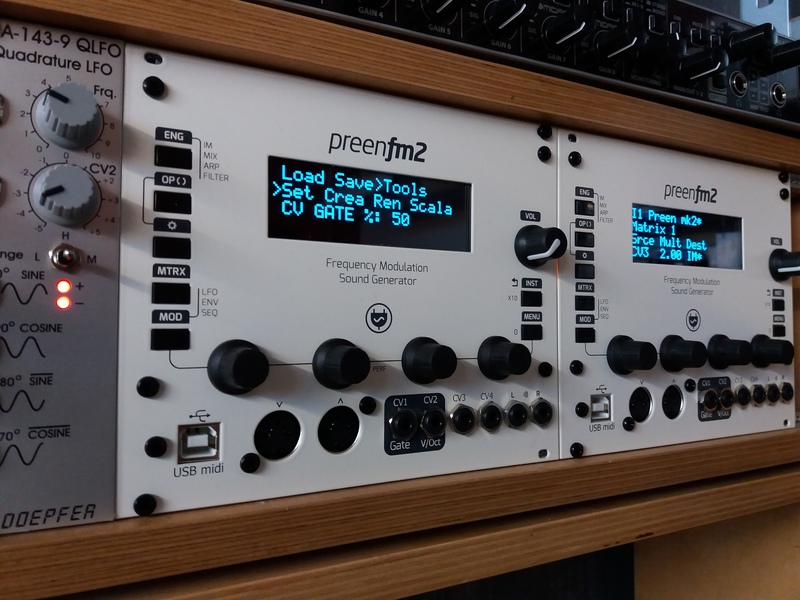 This is PreenFM 2 in Eurorack format with 4 CV inputs. Revision 3 brings some new features and updates. 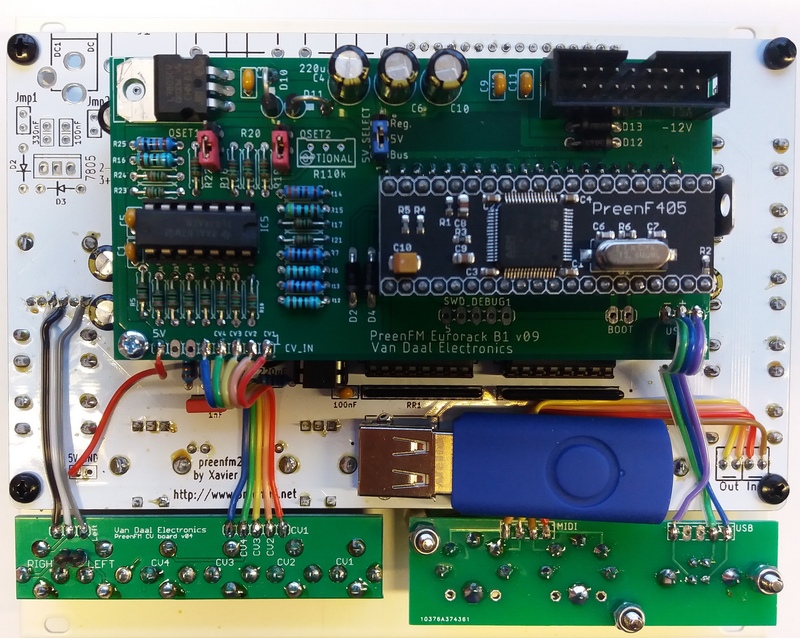 MIDI and USB Midi connectors. 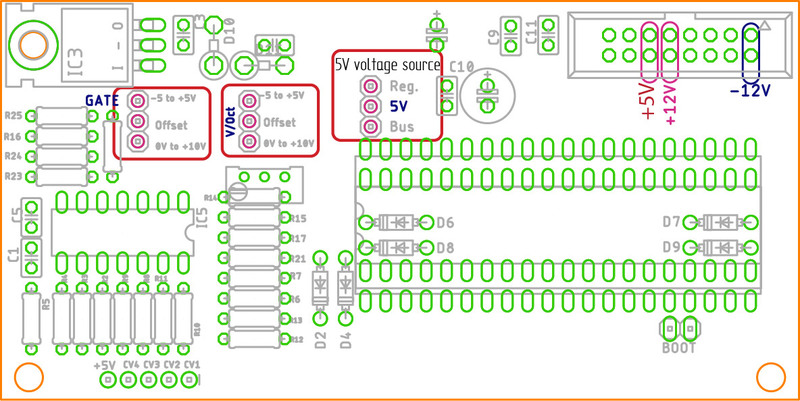 CV1-4 inputs can be mapped to matrix parameters. Unit comes preassembled and calibrated. You need to adjust CV A(33) (midi note 33) and adjust CV A(81) (midi note 81). 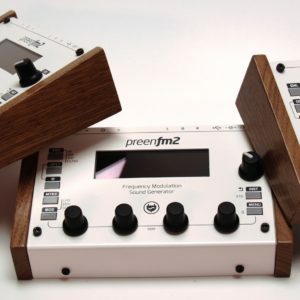 This will scale the V/Oct with out the need to adjust each octave one by one. Example values are: CV A(33) 256 and CV A(81) 735. 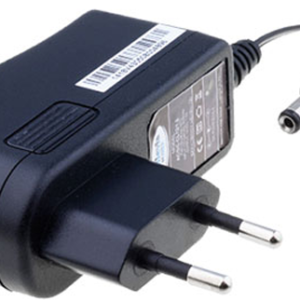 Each unit has its own values and depend on your voltage generator settings. Gate trigger level adjustment. 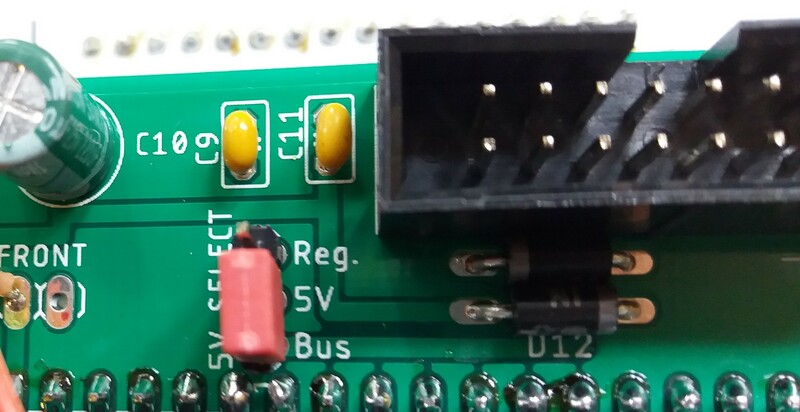 From 0% to 100% adjustment to allow user to use GATE input also as a regular CV input. Now available with 2.09 firmware, also Overclocked. 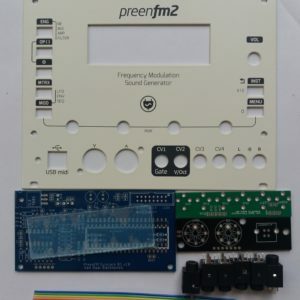 PreenFM2 Eurorack retrofit DIY kit.